So you want to know what the cover art for Backspacer looks like? You have to play detective and find it first. Pearl Jam has scattered nine pieces of cover art all over the internet–piece it all together, and you’v got all the visuals. There’s a reward too. 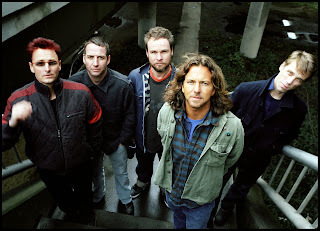 Pearl Jam will gift you a free download if you find them all. Think you can do it? I’ll give you a clue for one of them: Rolling Stone.